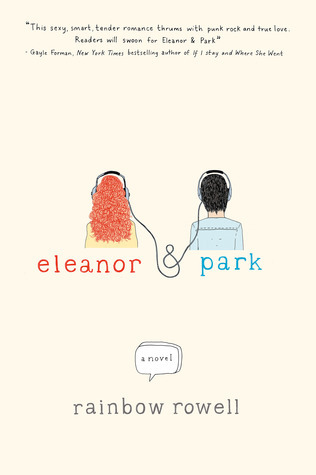 It took me a couple of weeks to get through Eleanor and Park by Rainbow Rowell. There were so many parts in it that made me stop and stare into space. Thinking. Remembering. Feeling. Thinking about those moments where you see someone you really like and you want to say something but so much has happened between you and things got so weird and you’re young and self-conscious and don’t know what to say so you don’t say anything. And you kind of regret it for the rest of your life. Feeling how important it is to find just that one person to make your miserable existence bearable, that one person who brings spark and joy to your life, and the outside affirmation that you’re special and wonderful and needed. And if you don’t find that, you’re screwed. So, yeah. A couple of weeks. Thinking. Remembering. Feeling.